Looking to sell your comics? I'm always accepting consignments! Please CONTACT ME for details. 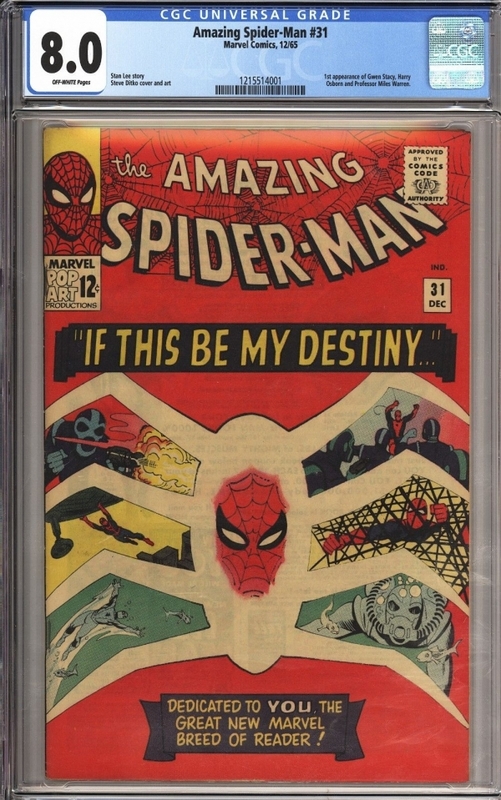 The winning bidder will receive this beautiful high grade and unrestored Amazing Spider-Man #31 CGC 8.0 featuring the 1st appearance of Gwen Stacy and Harry Osborn.This is an amazing looking book and looks so much nicer than an 8.0. The cover is very clean with super nice and bright colors.CGC has assigned the book OFF-WHITE pages.This book looks amazing and has excellent eye-appeal.